I confessed my sins last night. At a local Messianic congregation, I joined a hundred other people as we confessed our sins together in the Yom Kippur liturgy. That isn’t something Christians do very often—if ever. Especially not evangelicals. It goes on for pages and pages. You can see an entire Al Chet (confession of sins) here. Another portion of the liturgy was read responsively. The rabbi read each of the Ten Commandments. The congregation asked God to reveal ways they had violated those commands. So many times, we have a tendency to lump sin together for confession (“Forgive us all our sins.”) and move right on into the good part—God’s grace and forgiveness. But by naming each category of sin and taking a moment to let that sink in and searching my heart to see where I’ve not measured up to God’s standard, my gratitude for God’s mercy overwhelmed me. Rabbi opined that we need to enumerate our sins to be reminded of what we’ve been forgiven. Then, and only then, the gratitude goes deep. 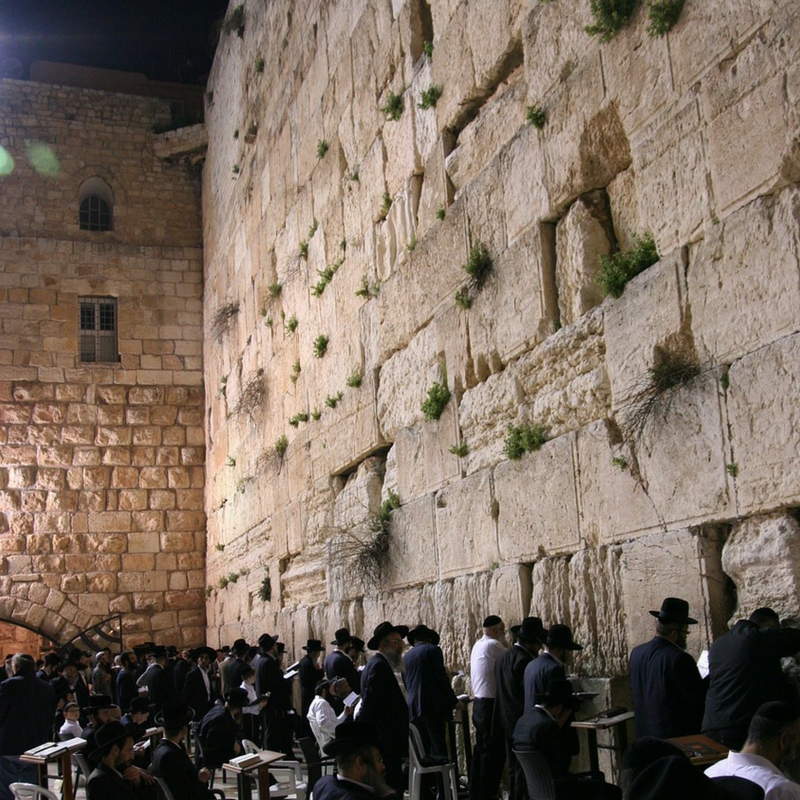 During the course of the Yom Kippur services, these confessions are recited ten times. I’m not sure why they do that, but each time I confessed, the Lord zeroed in on different things in my life for which I need to be cleansed. For 25 hours during Yom Kippur, the Jews fast both food and water. They do it out of obedience to the command in Leviticus 16:29 to “…deny yourselves…” or “…afflict yourselves…” They do it to mourn their sin. They do it to remind themselves of how serious sin is. I went into the fast knowing that I didn’t intend to fast water. I’m a lightweight. Not that my sins are lightweight (or my body mass, for that matter) but my willpower is. Even though I didn’t fast water, my thirst raged. (Not quite sure why.) I simply couldn’t drink enough water. And I couldn’t stop thinking of those who have none. It brought me to my knees to beg forgiveness for my callousness toward them. It also sent me to the Samaritan’s Purse website to donate to one of their numerous clean water projects. So, I confessed my sins. Does that mean that my name is written in the Book of Life for another year? No, I am inscribed and sealed because of Jesus. What I experienced over the last 25 hours deepened my faith in Messiah’s atoning sacrifice. It deepened my love and gratitude to God, the Father and God, the Son. And it deepened my trust in the active drawing of the Holy Spirit in my life. I’m determined, by the grace given to me, to gain victory over at least one of those many sins between now and next year. And if I fail? I will trust in God’s promises to complete the work He’s begun in me, (Philippians 1:6) and I’ll try once more. I appreciate your honest, powerful and eye opening confession. It brought me tears and regret that I was not able to attend any of the services this year. I observed Yom Kipper from age 10 until my early 30s while in a non-denominational church that observed the Jewish Holy Days. I have come to learn that it was not observed in the proper Jewish tradition and not at all like you describe it. When I as a non-Jewish person came to realize the way God meant for His Holy Days to be observed and celebrated it open up a new understanding of the Bible and makes it so very rich and powerful. I believe it is a great privilege to “get to” (if I so chose) participate in the way God wants His Holy Days to be observed. Thank you for your blog and I will be following along with you as I am on the same journey. Thanks, Garlena. It’s definitely been an eye-opener for me. Although you may not have observed the Holy Days in the “proper” way, I’m sure God was honored by your heart.